Gold Listing for Swiss-Belhotel Brisbane! 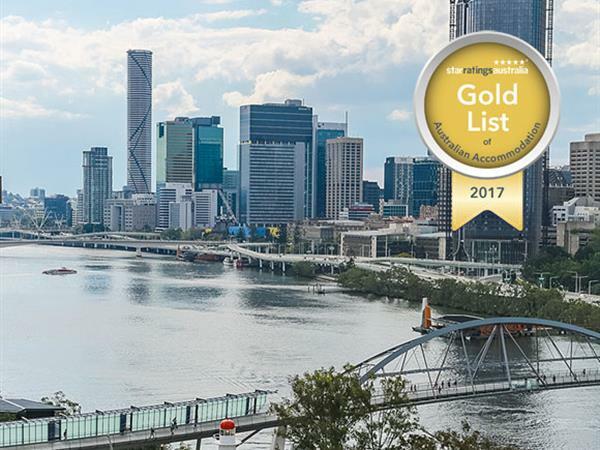 Star Ratings Australia has announced that Swiss-Behotel Brisbane is now on the 2017 Gold List of Australian Accommodation. The Gold List is exclusive to Star Rated properties. It is for properties that achieve the highest Travellers' Rating score. By making it to the Gold List properties demonstrate a commitment to consistently exceed guests' expectations. To view a our hotel on the Gold list click here. Swiss-Belhotel Brisbane is currently ranked 6th within hotels in Queensland.